Like most wildlife researchers, Samantha Dwinnell is an adventurer at heart. After receiving a B.S. in Biology and a B.A. in Environmental Studies from the University of Minnesota – Duluth in 2007, Sam embarked on the expected departure from the flat prairies of the Midwest to the granite slopes of the Rocky Mountains. 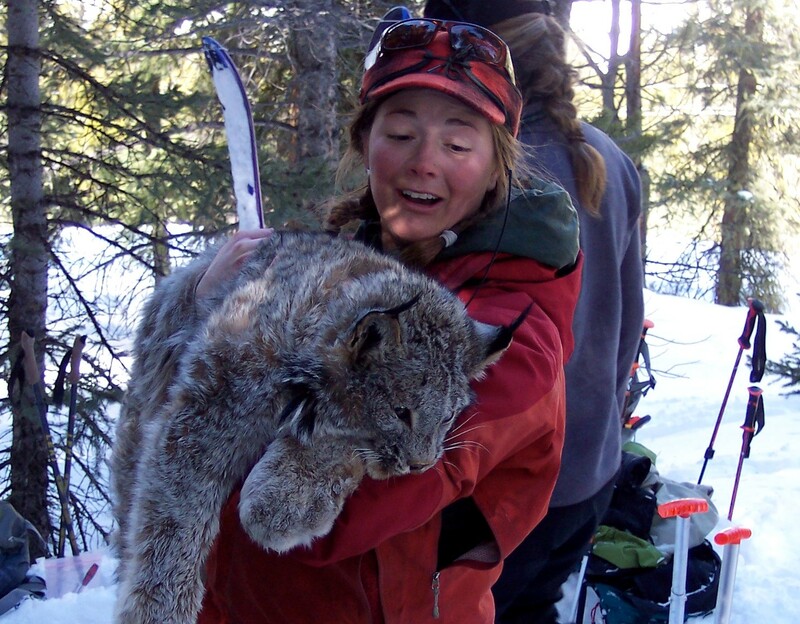 Her broad interests in wildlife ecology and desire for exploring different systems carried her through seven years of working on a variety of wildlife research projects throughout the Intermountain West. Among her experiences, the most notable in molding her career were those affiliated with the Wyoming Cooperative Fish and Wildlife Research Unit. She began her career with the WY Coop in 2008 as a field technician assisting with research investigating the effects of energy development on songbird communities in western Wyoming. She then segued into another position within the WY Coop where she assisted with research studying the influence of backcountry recreation on habitat selection of bighorn sheep in Grand Teton National Park. Projects like these allowed Sam to develop her research interests in applied ecology while simultaneously satiating her need for adventure. In 2013, Sam began her thesis research with the WY Coop studying Effects of human disturbance on the nutritional ecology of mule deer. Her research is focused on understanding the nutritional relationships between habitat conditions, behavior, and human disturbance. Sam plans on finishing her MS work in Spring 2016 and will transition into PhD research aimed at Disentangling the effects of predation, nutrition, and habitat on survival of neonatal mule deer.